My Iowa Workers' Compensation insurance company's settlement fair? How will I know if the Iowa Workers' Compensation insurance company's settlement offer is fair for my injuries? 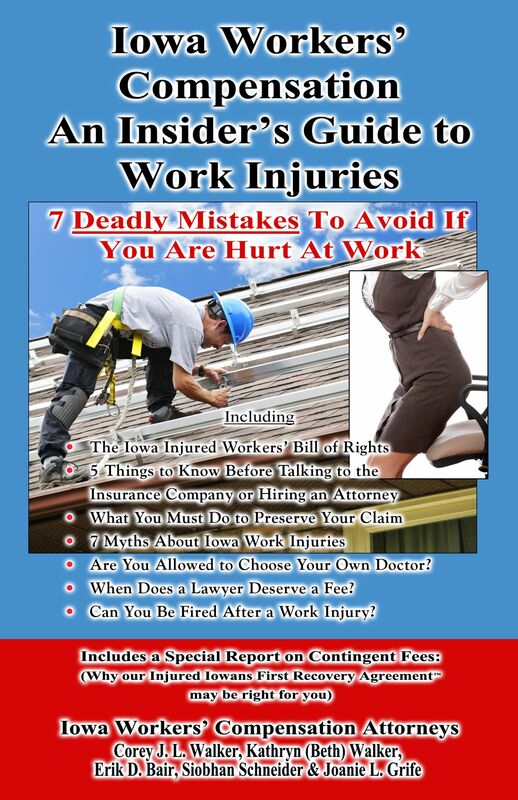 The only way to really know if your Iowa Workers' Compensation settlement is fair is to have it evaluated by a Des Moines Workers' Compensation lawyer who has a full understanding of your accident, injuries and the long-term effects it will have on your ability to work. An Agreement for Settlement - You and your employer agree to the amount of compensation. This usually involves continuing weekly benefits and ongoing medical care. A Compromise Settlement - There is a dispute over your entitlement to benefits and a settlement is filed with the Workers' Compensation Commissioner. In this case, approval of a compromise settlement ends both parties' future rights to any benefits for the settled injury including future medical care and treatment. This usually involves a lump-sum payment. A Contingent Settlement - A settlement is contingent upon specified terms. If these terms are not met, the settlement may be revoked. This is generally used when a court or Medicare must also approve a settlement. With so many possibilities for compensation after a work injury in Des Moines, it is difficult for you to know whether a settlement is fair. Therefore, the best thing to do is to get the professional advice of a Des Moines Workers' Compensation lawyer. A Des Moines Workers' Compensation lawyer can investigate the details of your work injury in Des Moines, and do their best to estimate the value of your claim.